Apartment located in Funtana Meiga. 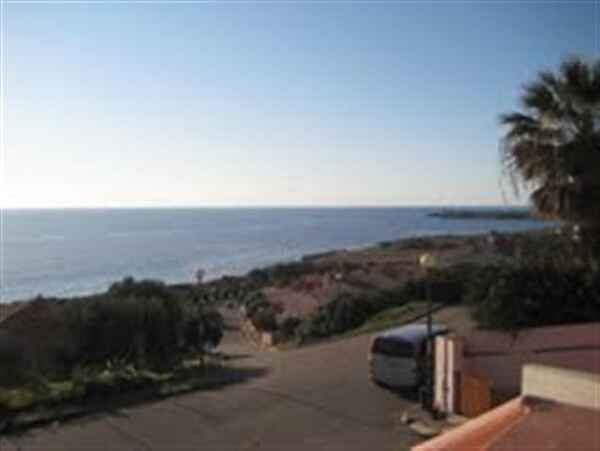 Panoramic terrace overlooking the sea, surrounded by a beautiful Mediterranean garden. The apartment has a living room with kitchen, elegantly furnished in Sardinian style. The sleeping area has two bedrooms, one double and one twin room, bathroom. The apartment has a cistern and TV. The Funtana Meiga beach is 300 meters, while other beaches are just a few kilometers sinis San Giovanni di Sinis, Putzu Idu, S'Anea Scoada, is Arutas, Ermi seas.